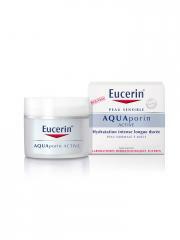 Eucerin Aquaporin Active Moisturising Care for Normal to Combination Skin 50ml is suitable for sensitive dehydrated skin, normal to combination skin, subjected to tugging sensation. 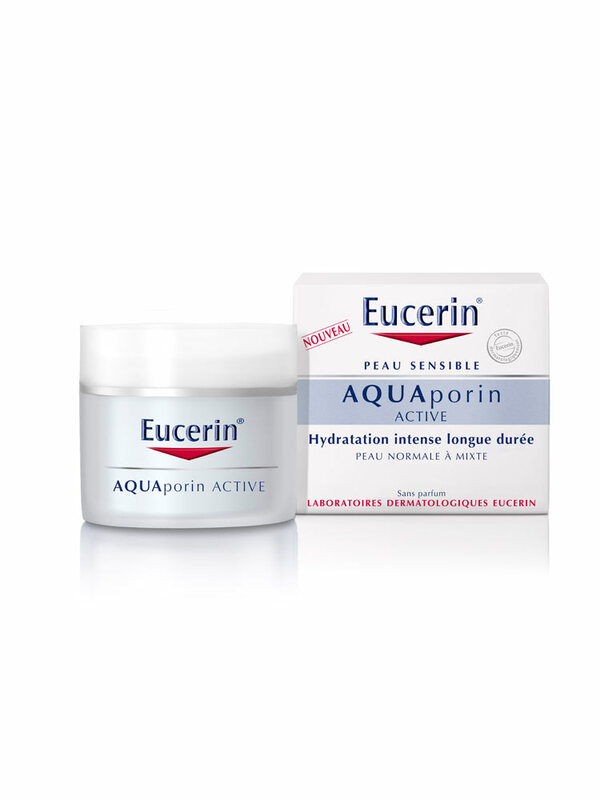 The innovative formula of this care with a gluco-glycerol basis, a natural active ingredient, enhances the activation of natural networks of hydration, the aquaporines. They stimulate the circulation of molecules of water through the cells and restore the inside of the natural balance of hydration of the skin. Results: the skin is moisturised during 24 hours, it is soft and supple. Sensations of tugging are less intense. Fragrance-free. Paraben-free. Non comedogenic. Excellent make-up basis. Indication: To moisturise normal to combination skins. Aqua, Glycerin, Dicaprylyl Carbonate, Octyldodecanol, Glyceryl Glucoside, Distearch Phosphate Glyceryl Stearate Citrate, Cetearyl Alcohol, Butylene Glycol, C12-15 Alkyl Benzoate, Carbomer, Sodium Polyacrylate, Dimethicone, Alcohol Denat., Caprylyl Glycol, Piroctone Olamine, Phenoxyethanol. Despite the high price, it's a very good product.